The experience of an OSF HealthCare RN is unique and respected. At OSF HealthCare, you’ll have access to new technology and opportunities to further your education while working toward your career goals. Be recognized for the value you bring and your insight to our organization’s decisions. Our Mission is not just a statement for our nurses – it’s a way of life. Everyone at OSF HealthCare is a Mission Partner, working to serve with the greatest care and love. Education and development are important to you, and they’re important to us. 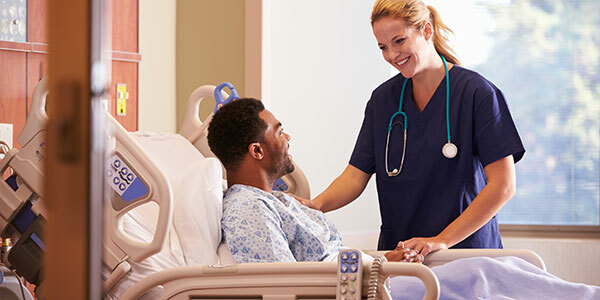 One way that OSF HealthCare encourages your personal and professional growth is through OSF Advance, our new professional development program that provides nursing Mission Partners with monetary awards and career development funds. Details about how to earn those rewards are available during the interview process. OSF HealthCare also has two colleges of nursing, benefits to assist with higher learning pursuits, and superior on-the-job education. Nurses can get additional training at our state-of-the-art Jump Trading Simulation & Education Center. Three of our largest medical centers routinely earn Magnet certification. Truven, a health care analytics firm, has ranked OSF HealthCare in the top 20 percent of all health systems nationwide in three consecutive years.